Superiority Complex is what is allowing mesmer to insta down someone wearing a full tank setup. Yes, I've always been able to insta down another Glass or someone light on defenses, but I would never Insta Down someone with 26k HP and 3,2k Armor before Superiority Complex. Harmonious Mantras bonus was nowhere close to what Superiority Complex gives in terms of burst potential and I did ran Power Spike HM mesmer myself prior HoT. I may be a bit biased by the fact that I hate the "thief style", but I'd give away Superity Complex for old Healing Mantra and Old Mender's Purity back because I find it much more fun to be able to remain longer in a fight than insta down someone in half a second or tuck my tail and run if I fail to do so. If you're dazed you can still dodge. The trait that turns dazes to stun has a 5 sec CD so you can't be stun chained. What they could have done is stun you with Mantra of Distraction on the opening burst, then after your stunbreak, immediately daze you with f3 shatter. Which means they read you and you got outplayed unfortunately. 1 this is not a one-shot (look at the video). This is a high combo burst of many damaging abilities used in a short time span. At best, this can be done roughly every 12s. In actuality, this is once every 30s against a low-skill, unaware or low health player (stealth opener) and leaves the Mesmer in a playstyle that MUST stealth/reset (typically with mantra recharges to recast) because they have no other options to do any actual reasonable pressure damage to finish - sure they can immobilize a single target once every 12s too...wow. 2 this is a different issue than Deadeye with Death's Judgment (and a mark used on some random object/ambient creature) . Mesmer's burst is much more closely aligned to the burst potential of Elementalist with Scepter combo landing along with Fresh Air/Utilities. So stop comparing it to Deadeye's DJ which is actually a one-shot possible (but not likely, but still worthy of looking at since it can be used at least 2-3 times in a row which could be a problem). 3 Mirage (spec line) has absolutely nothing to do with the one-shot so Mirage specifically is not the issue. Chrono is actually far superior still because a timed F5 just before the big hit allows the combo to happen a second time (with timing) and provides the critical superspeed to shatter of illusions to ensure the poor illusion pathing reduces the burst potential. Notice in the videos that AI shatters pathing is not shown as a problem and the Mesmer is always with a group of others (and only once is the focused target) yet still is barely surviving at some points (backing off to recharge mantras and no enemy bothers to engage the mesmer during). Also note, the video is a voice chat/high communication havoc (guild) team with target calls to ensure the targets go down...basically ignores the other ~4 teammates helping to finish targets and keeping the mesmer up - if you watch closely, that Ele tank/healing/CC team member is the real winner. 4 The true problem is GS 2 (Mirror Blade). It was buffed back in July 2016 and has been to go-to weapon for dueling WvW/PvP ever since outside of Chrono condi builds for mesmer. That's because it does a huge damage spike (decently high damage coefficient), unblockable, adds Might boon, causes Vulnerability, and meets the less than 12s cooldown criteria by being 8s. Note, GS 3 (Mind Stab) has the magical 12s cooldown alignment and is basically instant cast. Mindwrack F1 is 12s cooldown. Sword 3 mainhand (immobilize swap) is also 12s. Not shown in video but also often used, Blurred Frenzy is 12s cooldown. You see a pattern yet? Do your burst, jerk around (aka retreat) for 10-11s, do it again. F5 Continuum Split at least allows you to do it twice. That being said, nerfing mesmer greatsword will just force dedicated mesmers back to condi focus which is the current meta problem discussion (higher priority and needs to really be the focus balance fix first). I'm seeing this alot lately, where they open with the elite well, which forces you to use a stun break (if you don't, your dead). Once you use that stun break, they nail you with their cheese rotation with the daze in there. At least the last 4 mesmers i fought did this, so i figure its the new shiney thing, as they were different mesmers on different servers. Bring 2 stun breaks or stability. There, now the Mesmer is useless. Or dodge the elite well, since it is slow to cast and often gets F5'd which makes it even more obvious. Idk I'm not a mesmer main, at least not since the times they were truly monstrous before HoT. But that little bit of play time with mesmer was enough to learn how power shatter GS works and how to destroy it. Well you looked at the logic and came back with angry justification...but you did look at it. Just because a thing has existed for days or years does not make it a good thing. When some class end's doing something extermelly good and easy, but not fit on other part of the game, that's not a good thing, nor are trade-off for that class. Those are not what trade-off are and it is called bad design. And if u notice ELITE traits are nothign less than ANet cover "balance" with broken gimmicks. Notice how I put balance and logic in quotes. In no way do I think small scale fighting is balanced. WvW in itself is not balanced. But I like to think that it's a goal to have each profession good at SOMETHING in WvW. Either way you guys are complaining to the same people that thought trapper thief was OK til it solo'd a raid or something. Good luck. Yeah totally bro, like it made sense to nerf endure pain in PvP even though it was fine for years just because spellbreaker came out. Just because you're having trouble with a build many people L2P'D around doesn't mean we all are. I still have no idea how that text went all capitalized. Don’t use the pound symbol as that’s used for headings. What if the opposing team has 10 of everything? This skill is a combo. You’ll be able to deliver three strikes in quick succession to your enemies, with the final skill granting the daredevil access to the first skill-based finisher available to players. Combo Skill 1—Impact Strike: Strike your enemy and daze them. Combo Skill 2—Uppercut: Deal a heavy blow with your fist, sending enemies flying in place (they do not move any distance). Combo Skill 3—Finishing Blow: Deal a downward strike on your foe. Downed enemies struck with this ability are finished. What makes roaming kitten is that while you solo take a camp, someone will watch you until the goon squad of 8 rock up to gank you. You go to take a sentry and there is AC spam on it from 1 guy while 2 others come out to fight but only under the AC fire. You have a decent fight against a few people but the moment one goes down, the rest glide away. I don't get 1 shot by these builds unless I'm in berserker zerger gear so I can assume these complaints are from people who are set up to zerg and slaughter tower lords. This isn't exclusive to Mesmer. Doesn't matter what profession you play really, if someone else can react and input skills faster than you, they almost always win. Not much you can do about since the devs don't seem to like to anything that's slow and methodical, just instant gratification. Too much twitch gameplay for an mmo in my opinion. After 5 year of making a case against thief counterpart:, i'm relieved that many more are witnessing mesmer attribute to the obsoletion of competitive scenary in wvw+pvp. Mesmer, unlike its counterpart thief which makes 1 shotting scene more prevelant, has cleverly gone under the radar for some times. Why? Mesmer havs more builds variety unlike thief having very few. Like thief: mesmer 1 shotting is not new: it has existed many years ago. Now with more memsers being aware of 1 shotting builds: it has become the builds of choice over variety builds. To remedy mesmer 1 shotting is to to completely redesign the class along side thief. Both thief and mesmer are design to rule all meta's and that is intollarable and unaceptable for the well being of pvp+wvw. Something most be done for the health of wvw+pvp. It's either now or never!! No, its because there is about 20 thieves for every mesmer. That both thief and mesmer are designed to "rule all meta" is a bit odd. I've never seen thief+mesmer zergs being meta. Well, not yet anyway. Events dont count. about 20 thieves for every mesmer sound ridiculous. When did mesmer needed thieves approval in the first place to be viable?, secondly, thief also doesn't need mesmer approval to be viable. Lastly, it only takes 1 single thief and 1 single mesmer to threaten the meta. These two classes are the movers and shakers of the meta: they decide the direction of the meta. You must've not read my previous posts about an article stating just that. "Are Thieves and Mesmers the cause of-the-meta"
Here is a video of a thief and a mesmer dueling: for 10 minutes: that's correct! for 10 long minutes and you'll be surprised who won the dual in the end? Once again: no need for about 20 thieves for every mesmer needed. 1 mesmer=1 thief are enough to destroy any competition. Thief/Mesmer must be dealt equally and fiercely for gw2 having any chance of being competitive. No Excuses / No Defence must be given to them!! They've survived 5 years of nerfs: the only choice left is to redesign them or face more severe consequences. Odd way to concede an argument. But stack n spam is the whole of the GW2 Law. You even still that out of the gates from the newbie zone. You see that at every world boss. You see that at every dungeon. You see it in every zerg fight in WvW. GW2 is all about just stacking and spamming. You have to either accept that. Or accept the fact that GW2 is just not the game for you. GW2 in my opinion is what I call a cursory MMO. It a MMO that will only bedazzle first time MMO gamers, or little young children. The more you evolve as a gamer. The more and more you notice this game, is being marketed towards highly inexperienced and or immature gamers. To give them a home where no other MMO or multiplayer game ever will. 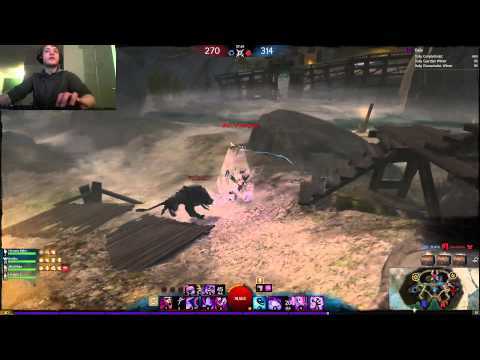 Here is a 2 years old video:2015 where a popular passionate mesmer steamer 1 shotting a thief 15 times. Lord Helseth completely loses his mind of how easy he was able to 1 shot the thief in seconds. That's right.... in seconds for the 16 time leaving lord helseth in the state of disbelief. If it took lord helseth seconds to 1 shot players: imagine what it will take as Reaper Alim stated, highly for inexperienced and or immature gamers to do the same? As many also stated, there is no way to differentiate pro players from inexperience player., i completely agree. Lol what are you even going on about, thats complete nonsense rambling... fact is there are alot more people running thieves than there are mesmers. Thats why people notice thieves more. Thats why people notices any class more. It feels like even less mesmers now than a year ago - condichronos seem nearly extinct, a few have converted to power and the rest are probably scourges/firebrands. Priceless! Nothing you can do but shake your head and laugh. Funny how many times we get down1 or 2 players, and we are just like: OK.... i barelly shmashed the keyboard but whatever :> and completellly easy carried with power creep. But that is gw2 for ya... doing what is best at. Why mesmers instant down people is because those mesmer players have been playing a very difficult and complicated class. In order to pull off a so called instant down burst, it can involve at least 4 to 7 different things all in the span of a few seconds. Mesmer is known to be relatively quite difficult to play and you basically play the piano and have a good gaming mouse. They can be also very squishy and must rely on illusions and stealth and so on to survive. Many times a decent player can respond, evade and mitigate a good portion of the damage and the mesmer has to retreat a bit, with less pressure at that point. If a player is actually alert to surroundings the mesmer stealth isn't that long duration, you can see them coming and you can see them vanish, and you should be bracing for what's coming. Ready your evades, blocks, invuln, whatever. You can also interrupt them and a lot of other things. Mirage has made the power builds bit more viable because it has great survivability, mobility and so on. I main mesmer but honestly pulling off those combos and builds takes a lot of work and personally, some stress, to pull the result you want consistently. I am considering running a different easier class more often. There are many other classes that can hit hard and yes one shot burst much easier than that or at least more straightforward. If you get instant downed by a mesmer, they probably have had to combo and blow through multiple skills to do that, it's definitely not an easy mash 1 button thing and I honestly can like and respect being bursted by a mesmer knowing that. People have said before you don't see that many mesmers or burst mesmers as much as thieves. Because they take more effort to play to pull off results. I don't think you can use this as an excuse. 100 Nades engi, and Static Discharge Engi were basically the same thing, using multiple skills in a short amount of time to burst people, but still got nerfed in the end. So why should Mesmers get a free pass when their predecessors didn't? Pre specialization Fresh Air Ele is arguably a lot more difficult than Mesmer with less defense and no access to stealth, much more skills to chain, and their main burst (Phoenix) has higher CD as well. Despite all these, Air trait line got major changes to its damage modifier traits which used to allow it to "1 shot" people with multiple skills. After that patch, FA Eles can still burst people but not 100-0 them anymore. Honestly, I think the current FA Weaver burst will be toned down as well eventually. Let's be real. It isn't hard to learn skill combinations as people make it sound. What's harder is getting the opportunity to use them and it's not that hard if you have access to stealth and your bursts have generally low cooldowns. I've tried the spec and while fun in some cases it's fundamentally flawed in many situations, making it a secondary option with 0 flexibility of play (1 trick pony in other words). It's a meme spec and that's the only thing it will ever be. Has next to no condi clease (remember we're in a condi meta), low mobility, no defensive options aside from a couple of stealths (no <10 secs of stealth do not make you GOD) oh yes best of all 0 support... like NONE. To sum it up MEME spec is MEME. Instant kill shatter is just as bad as most gimmicky oneshot builds but don't act like it isn't easy to play and hugely forgiving. You won't get easy kills off smart players but that's not a big concern when you can run away and go looking for softer targets. And should such frustration exists in the game which is rated 12+ years. If adults gets angry about being sniped from zerg and have to run solo back to zerg, or just miss the fun. Are people complaining about something existing since years. Mesmer burst is predicable if you are not aware you will die like against all others bursty spec. I can kill you in few seconds with thief,guardian,warrior,ele,ranger,necro,engineer,rev and mesmer if build properly! Oh god did i mention all classes? Might be controversial but I subscribe to the idea that killing people with max power shatter burst is more brainless than killing people with condi or hybrid (it's not difficult to execute any burst combo as power shatter - I know because have played it extensively as it used to be my favourite playstyle. Now with things like Superiority Complex it's even better), however surviving as full glass cannon shatter is the most difficult thing to do. Sure it's not as full yolo as say glass cannon ele, but people far overestimate the survivability of Mesmer, especially in full glass gear - it requires a hell of a lot of skill to not eat dirt. Both of the above reasons is why I prefer hybrid now, because I like to give up some easy damage output in exchange for greater sustain. While I used to love power shatter, truth is one-shotting squishies is really boring now and I don't rate it when I see players on-shot enemies from stealth who didn't even know they were there - it's cheap tbh. Sure in a duel or good fight where the opponent(s) are aware or outnumber you, to pull off a one-shot requires effort and skill, though I personally still find it boring now. Far prefer bruiser hybrid playstyle as there are more interesting flexible combos available. Mirage provides the illusion (lol) that Mesmer is more survivable due to slightly longer evade frames and evade access, however the truth is there are plenty of opportunities to smack down a mirage in between - it's just going to take time for this knowledge and experience to spread across the player base. The key thing is most mirages don't take Inspiration - so the only source of sustained healing might be regen (but power burst will prefer self deception) and the healing skill - that's it. Seriously without evade frames, mirage drops very fast unless the player is running cheese sustain like full trailblazer - but even then they can't heal up lost health so easily as even chrono could. The amount of people in this thread whining because they cannot fight mesmers, or thieves, go figure, is fantastic. I look forward to Tuesday when all of your broken scourge/warrior carry builds are nerfed . As for Mesmer, it has been nerfed again and again every patch for the past 5 years, and i'm sure it will get a nerf this Tuesday, but good players will still farm all of the people in this thread because nerfing won't take away a superior players skill, or give bad people a shortcut in their l2p journey. I sincerely hope your first language is not English because if you had actually listened to what he was saying he was talking about his duels with I believe Chaos Archangel from the forums who was saying interrupt builds are better than power shatter (at that time). The thief was one shot because he did the most obvious steal in the world and is not an ESL level thief. If you want to really see how mesmer performed vs a competent thief you should look at TCG vs Adjured at the WTS before HoT, I believe it was the first one and TCG came second because thief destroyed mesmer at the time. This was down to the old trait system and how shatters (distortion which you see used in your linked video) didn’t activate without a clone unless you took a GM trait. This has changed somewhat in the years since depending on game mode, mesmer is not hard countered by thief to the extent it used to be in power builds but is still at a slight disadvantage. Condi Mesmer, chrono or mirage fairs much better against power thief but condition thief depending on build can beat mesmer pretty easily. TLDR: pleb feef gets rekt by pro mes. Anyway I remember this video - I doubt these complainers recognise that noscope mirrorblade into F1 on a stealthed immobilised target is half luck, half skilled judgement. 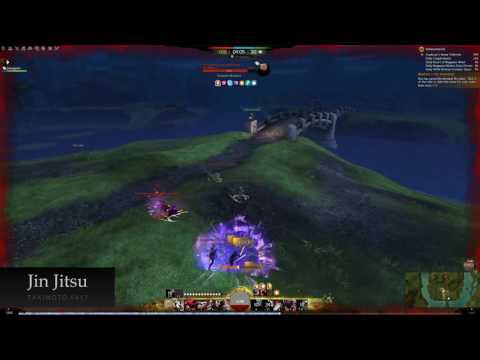 To complain mesmer burst is OP from this video is laughable tbh - and for the record I'm in the camp that would prefer less burst damage in exchange for more direct sustained damage. That was skilled play by Helseth and deserved the kill. What does any of this has anything to do with mesmer 1 shotting? English being my first language or not is irrelevant and does not concern you whatsoever. What does even that has to do with the subject of the thread? So not being an "ESL Thief" is the cause of the thief being 1 shotted? really?? She main thief and is careful of being 1 shotted by mesmer: knowing this in advance is crucial. Yet she manages to kill mesmer. Was it because mesmer wasn't an "esl mesmer' or what builds or not used? Not necessarily. That's exactly how thief works, yet Thieves still get their Free-Pass to quickly 100-0 people. Worse: They have one of the most slipery Specs (Daredevil) that allow them to not be punished when they fail. Mesmers never had such thing, at least not until Mirage came along. People started noticing Mesmers now because Mirage is making them as annyoing as Daredevil make thief. I fully expect Mesmers to be nerfed (Again) on November 7th, so it may return to it's state of "clunky thief" while other crucial things that should be adressed, like Spellbreaker, will go untouched. I only wish Healing Mantra and Mender's Purity nerfs were reverted, so I could play anything other than one trick pony burst or boon bot bish. It has everything to do with the topic at hand when you post a video as evidence that mesmer is as good as thief but don’t seem to understand what the streamer is saying or the context and claim that the mesmer had killed that thief for the 16th time. Especially when said video was from a time where even a decent thief would be able to destroy mesmer players, that thief in the video was incredibly bad, why do you think a player as good as Helseth would react as he did if the fight wasn’t heavily weighted in the thieves favour at the time? You can use ESL players as examples just make sure it has relivence and context properly accounted for, Helseth made a video maybe two years ago after trait rework where he said the balance between mesmer and thief had shifted where thief no longer hard counters. Then HoT came and the balance shifted. I’m fully aware of what mesmer can do, I’m fully aware of what is too strong on mirage and have made posts in topics of discussion relevant to it on the mesmer forum, elusive mind mainly. I for one did not want mesmer to become like thief and I see more and more PU condi mirages around now, this isn’t what many wanted from the devs and most people recognise how thief is a class plagued by having many poor mechanics like being reliant on stealth and mobility but where it’s so core to the class it is stuck in one niche it can never leave without a drastic redesign. fresh air ele cant do it? I disagree. Ele can one shot however it is just a one trick pony as any other build that can do the sane. Poor deadeye. Mesmer does it such much better.